This cat mobile will keep your indoor cat active while allowing her to get a taste of the outside world - good for keeping both your kitty safe, as well as our backyard birds! Hunting is a natural behavior for cats and they are hardwired to use their abilities to catch prey. 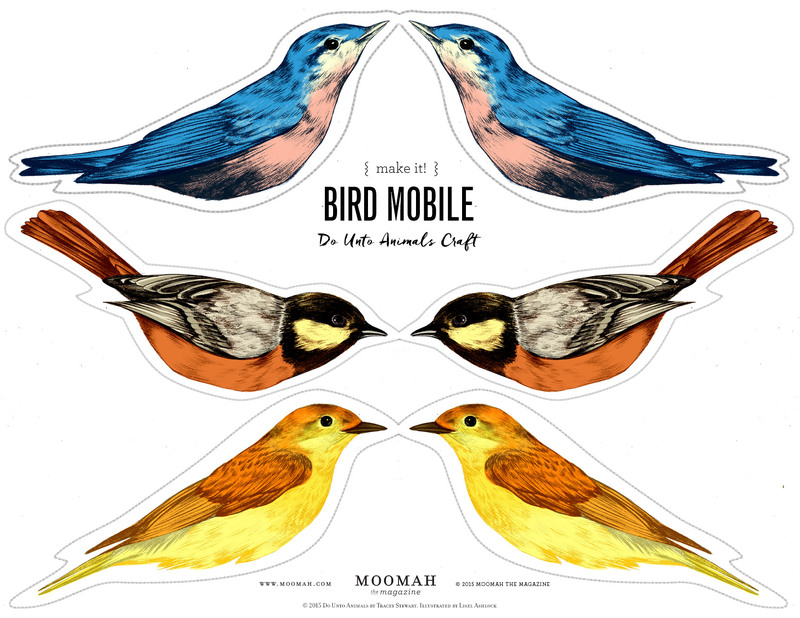 Hanging these illustrated birds on your mobile will meet your cat's desire to hunt but ensure a lot less damage to our wildlife friends. 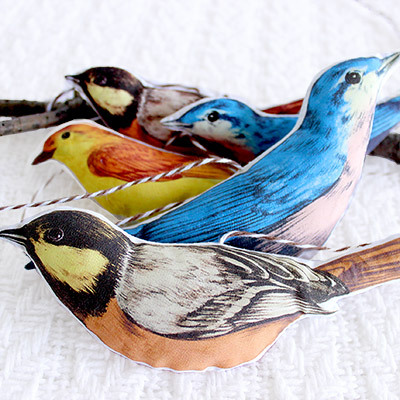 Looking for another way to keep your backyard birds safe? Use the images on the template below to create custom window decals by printing them onto sheets like these. 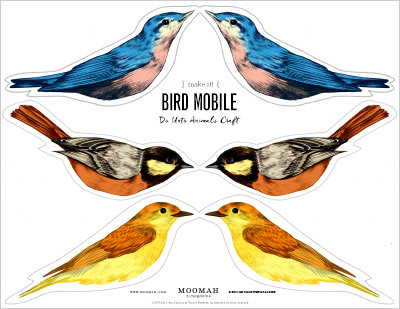 Window stickers will stop birds from flying into your windows and becoming injured. Let your kitties hunt for these catnip creatures.